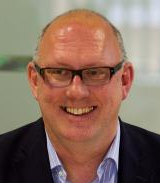 Nigel has been the chief executive of the Fresh Produce Consortium (FPC) since May 2004. He is also a director of Freshfel Europe, the EU equivalent organisation in Brussels where he attends regular EU Fresh Produce Advisory Meetings. Leading a small, highly dedicated team at FPC, Nigel is committed to the promotion of fresh produce in the UK and is actively involved in the development of the industry. His increased profile and in-depth knowledge of food security, sustainability and ethical trading matters have led to consistent lobbying and communication at an international level, debating at many forums on these and a variety of related issues. Nigel has a wealth of experience in the produce sector, having started life in a family-owned glasshouse business. He began his career with the Department of Agriculture & Fisheries for Scotland before moving on to a senior management role at Heinz, and later managing director positions for a potato packer and subsequently a vegetable cooperative. Nigel also holds a number of non-executive roles, including New Covent Garden Market Authority and, previously, the Gangmaster Licensing Authority.